Ahhhh i'm SO behind on the blog it's actually pretty ridiculous now. Same excuse as always - life just got in the way - and on top of that, the second half of last year, basically directly after coming back from this trip, was when everything all properly kicked off so there just wasn't any time for updating on all the lovely things we got up to. Personally it was a really great end to the year and i have lots of things to document so slowly i'm going to pop them up and hopefully, before long i'll be back on track!! I had this particular post saved in my drafts where i had just uploaded the photos but hadn't got round to adding words yet. When i eventually found it again 5 months later, i almost pressed the delete button as it's quite difficult to think back enough to document the day properly in the detail that i like to write... But then i stopped and remembered what a wonderful day it was and it's definitely one i want to look back on SO detail or not i'm uploading it anyway. 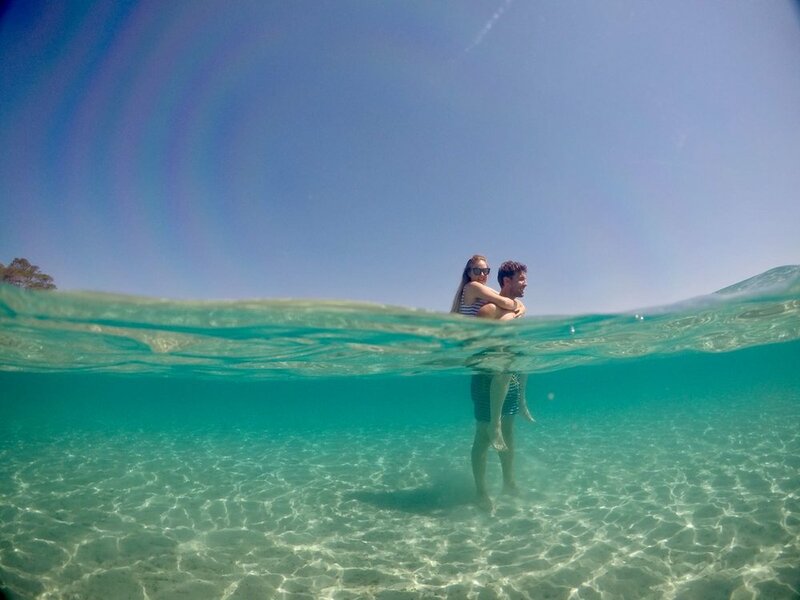 In the south of France there is a little gem of an island where cars are banned, access is by boat only and the waters are as clear as a Maldivian dream, it's called Porquerolles. One day last summer, Joel, my parents and I took a day trip there and although i feel as though someone has already let the cat out of the bag (i hope it wasn't just me!) about this beautiful place, it's still just as stunning and seemingly untouched as i remembered. We each grabbed a bike and peddled our way around stopping at a beach or two for a quick dip along the way. 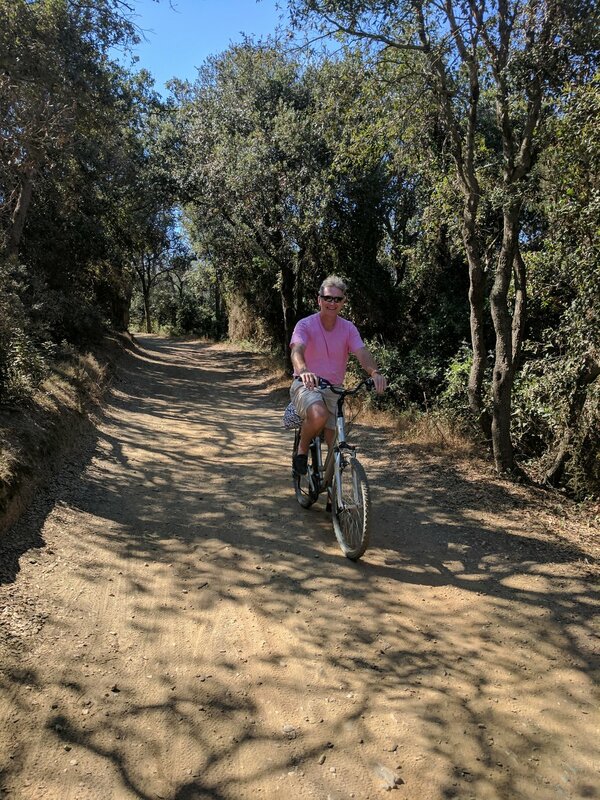 We definitely earned our lunch, i admit i had to walk my bike up some of the steeper bits on the route (get an electric bike if you want an easier time!). 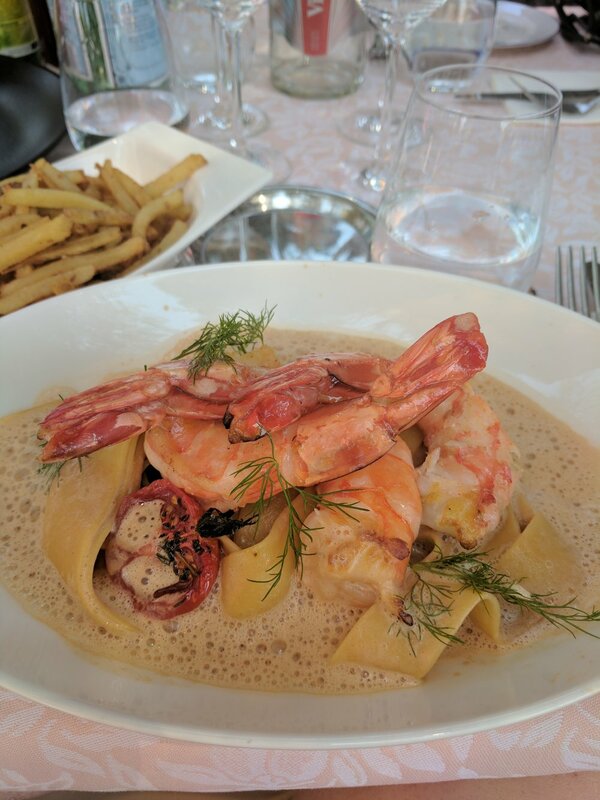 We stopped at Le Mas Du Langoustier for one of the most delicious pasta dishes i've ever had. After lunch we found a quiet little cove to relax in while we digested our food followed by one last little dip in the crystal clear water. I followed dad, down a slightly treacherous rocky route through to the sea, my feet regretted it instantly but the pictures was totally worth it. We messed around with the go pro before heading back to shore.